“You mean you’re going to pay money to go run?” Yes, this is the question many people ask when you mention you’ve just registered for your first race. For those who’ve never run, it really doesn’t make sense that someone would actually pay money to do something that seems so exhausting. It’s one thing to talk about signing up for a race. It’s another to actually go online, register, give your credit card information and finally click the submit button. Once you’ve clicked that button, it’s a done deal. You’re in. No chances of getting your money back at this point. Whether you run the race or not, you’ve paid money you will not get back. The first time I registered for a race, I wavered back and forth. Do I really want to do this? Do I have enough time to train for this race? What if something comes up and I can’t make it? Am I really cut out for this? But once I clicked the submit button, I knew I’d made a commitment. I was all in. There is no maybe option when you go to register for a race. You either do it or you don’t. Once you’ve made the commitment, there’s an immediate urgency to follow through with the necessary training. You’ve paid a price and you don’t want to lose your investment. Now that I’ve signed up, what’s the next step to be ready for the race? Is this how we approached the crossroad when we decided to become a follower of Christ? Did we really ponder what we were signing up for? Did we consider the cost? Did we truly realize the commitment we were making when we said yes to Him? Was there an urgency to follow through with the next step? The good news is that when you give your life to Christ, you don’t have to pay anything. No fees. No credit card number required. In this case, He is the one who paid the price up front. He is the one who gave freely of Himself. He did this while we were still sinners, knowing that many of those He died for might choose to reject the option of signing up for the race. Yet He still did it. For everyone. For me. For you. Although it doesn’t cost you anything tangible, there is still a cost. There is an investment we make. We don’t have to do anything to receive salvation; we’re saved by faith and grace. But it will cost us something when we come out of our comfort zone. It will cost us our pride, selfishness and desire to take control of our life. When we say yes to Jesus, it means we say no to the ways of this world while allowing Him to live out His purpose through us. When we signed up to run the race of faith, we clicked the submit button. We chose to fully surrender and submit to Him. What we get in return is of much more value than anything this world has to offer. Dear friend, we receive eternal life! Forgiveness of our sins. Joy overflowing. Peace and hope in our relationship with Him. You can’t even begin to assign a value to what we receive when we sign up to run the race as a follower of Jesus. It doesn’t compare to anything. It’s priceless. READY? 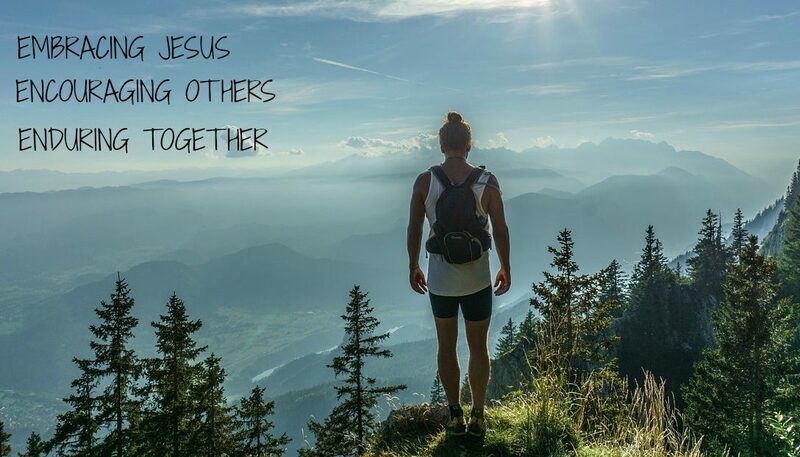 If you call yourself a follower of Christ, are you all in? When you first came to Him did you consider what it would cost you? Did you consider what it cost Him? Are you living your life fully committed to Him? Are you living daily with the truth of what He’s already done and is still doing for you? If so, what is your next step? GET SET. Luke 14:27-28 And anyone who does not carry his cross and follow me cannot be my disciple. Suppose one of you wants to build a tower. Will he not first sit down and estimate the cost to see if he has enough money to complete it? GO! Jesus, I praise you and thank you for what you’ve done for me on the cross. Thank you for the gift of salvation. Thank you for the promise of eternal life. Help me to live each day with a heart fully devoted to you as I continue with the commitment I’ve made to be your follower. 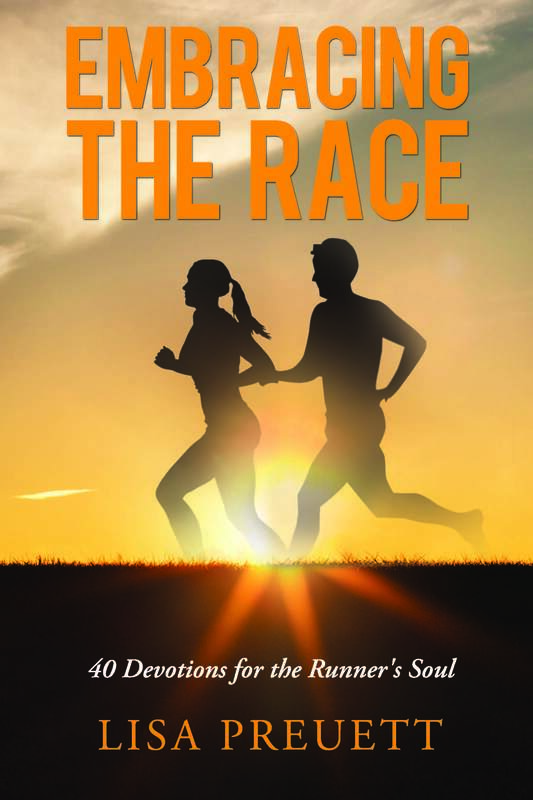 If you enjoyed this post, check out my devotional book for RUNNERS! I’m not a runner – unless you count shopping fast with purpose – but I’m in the journey with God and He keeps me company at my speed! My fav is II Corinthians 5:15 – …so that we who live should no longer live (run?) for ourselves but for Him Who died and gave Himself for us. Thanks for your comment! There are so many parallels in scripture that connect to running. I too love this scripture in 2 Corinthians. Have a blessed day! I am a runner, and have done many 5k’s, 10k’s, and 2 half marathons. This year, I’m in a different kind of race – I am on the road to recovery from breast cancer. The journey is much the same. There are hard days, when the uphill climb seems to go on forever, the drudgery of boring miles when I feel all alone, and the relief, however brief, of the downhill part of the route, when I can catch my breath, and refocus to prepare for the next big hill. Just like any other race, the encouragement from everyone around me is what has carried me along. It is vital to have a good cheering squad! Thank you so much for this devotional! It is so good to have Scripture to go to as I go through the race. Not much longer now, but it’s those last miles that seem the hardest! Lisa, thanks for sharing your feedback on this post! I am sorry you are going through such a difficult time with your current journey with cancer. You are so right when you say our lives are just like a physical race in so many facets of our faith journey. I will pray for you to get through the rough days ahead. You will be so much stronger when you come to the finish line of this journey! God bless! What a lovely truth-filled post! Yes I’m all in. Love that when we commit to following Christ, He has always been committed to us. He was definitely all in. So thankful! Following you at Kelly’s. Thanks for your comment! Be blessed in your journey with Christ!